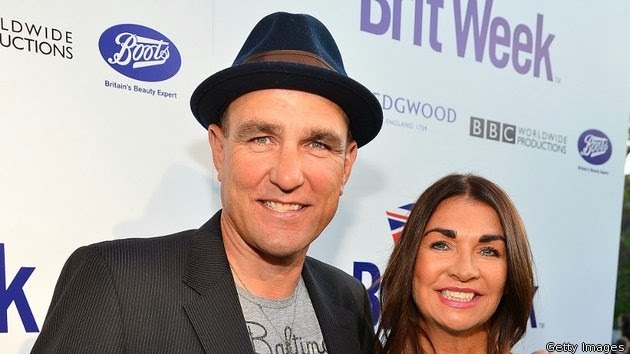 Vinnie Jones is facing the fight of his life. The famed footballer turned actor has revealed that he is battling skin cancer—and that his wife Tanya has been treated for skin cancer in the past as well. "Cancer is a horrible word to hear. It frightens the life out of you," Jones, who made his feature film debut in Lock, Stock and Two Smoking Barrels, told the U.K.'s Sun. "I've faced the biggest and ugliest lads on the football field and been in some nasty bar brawls. But this is my toughest and scariest opponent yet." As for his wife, Jones said that doctors think Tanya's condition could be due to side effects of medication she had to take after undergoing a heart transplant 26 years ago.